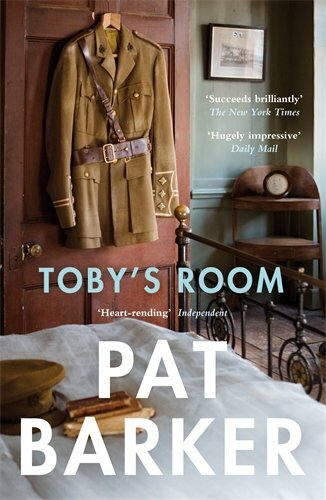 As the second book of a trilogy by Pat Barker, this can be read also as a standalone novel. The Toby of the title is the brother art student Elinor Brooke, whose story is told in Life Class. This story starts further back in time with a secret shared by the siblings, something not hinted at in the first book. In fact this whole book is about secrets, things hidden for shame, war too horrible to talk about, fear and emotions to be ashamed of, and things simply not spoken. Society was very different then, pragmatism coloured everyday lives, people did what they had to and tried to forget the bad things. Toby is reported ‘Missing, Believed Killed’, a parcel of his belongings is returned. Elinor believes the true story is being hidden and enlists fellow art student Paul Tarrant – who returned from Ypres injured and is now an official war artist – to help. She believes another war artist, Kit Neville, who served with Toby, must know the truth but refuses to say. Kit suffered a horrific face injury and is being treated at Queen Mary’s Hospital in Sidcup. Visiting Kit there they find not only Kit but Henry Tonks, their intimidating professor at the Slade School of Art. The facial reconstructions at Sidcup are well documented, not least by the medical drawings of patients by Tonks and his team. Once again, Barker uses a true story and seamlessly inserts her fictional characters. 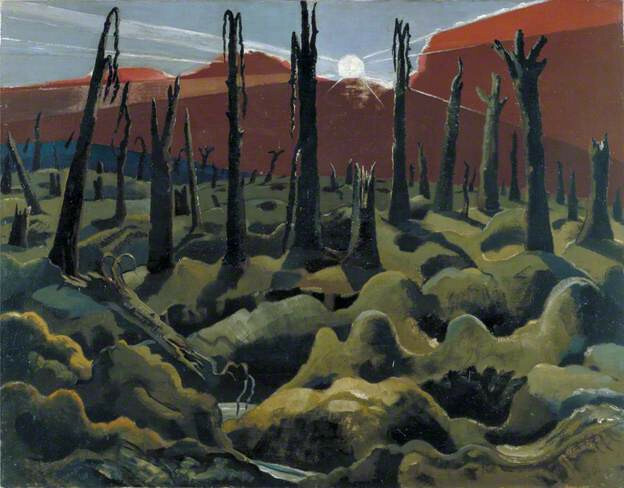 And yet again, Barker combines a study of individuals at war while considering the role of art in conflict. As official war artists, Kit and Paul struggle with the limitations they are given, the portrayal of reality is forbidden. As I read every page of this book, the image which stayed in my mind was Paul Nash’s ‘We Are Making a New World’ (see below). Click here to read my review of Life Class.